The Digital Research Library of Illinois History Journal™: The Arthur J. Audy Home in Chicago was the largest juvenile jail in the world. The Arthur J. Audy Home in Chicago was the largest juvenile jail in the world. Chicago's juvenile justice system serves three distinct categories of children: delinquent, neglected, and abused. In the nineteenth century, children lived alongside adults in Illinois' poorhouses, asylums, and jails. Between 1855 and the Great Fire of 1871, convicted boys were sent to the Chicago Reform School. After the fire destroyed the building, they went to the State Reform School at Pontiac. In 1899, the women of Hull House and the men of the Chicago Bar Association succeeded in passing legislation for a separate juvenile court system after a 30-year campaign. Initially, boys were held in a cottage and stable at 233 Honore Street, while girls were housed at an annex of the Harrison Street police station. Although these arrangements were recognized as an improvement over city jail, escapes, attacks, and underfunding within the first two years led to the establishment of the Detention Home, operated by the Juvenile Court Committee (JCC) in conjunction with the city and county. 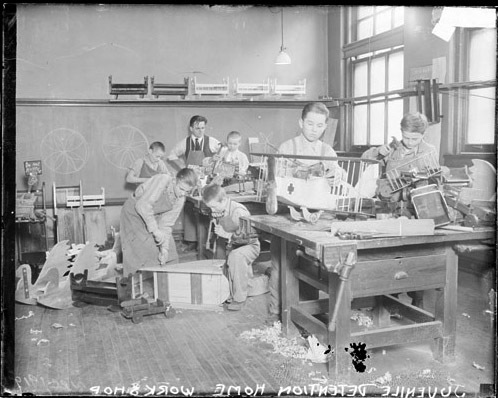 Children were fed for eleven cents per day, but JCC philanthropists persuaded the Chicago Board of Education to provide a teacher in 1906, and by 1907 a new court building was established with facilities which separated delinquent boys, delinquent girls, and dependent children. The Cook County Juvenile Court was the nation's first separate court for children. Under the principle of parens patriae, the state as parent, children's trials were informal hearings without legal counsel. In addition to the usual run of adult crimes, children could be charged with offenses such as truancy, incorrigibility, and sexual delinquency. But the creation of a distinct process for minors presented only a limited victory for the reformers. The court relied heavily upon institutionalization rather than the family preservation initially envisioned by reformers. On the court's twenty-fifth anniversary reformers lamented that it had become bureaucratic, unresponsive, and overburdened. A 1935 Illinois Supreme Court decision restricted its power to those cases that the state's attorney chose not to prosecute in adult court. Arthur J. Audy served in the Navy during World War II and upon his return, was superintendent of the center at Roosevelt Road and Ogden Avenue. As part of the job, he and his family were required to live in an on-site apartment. They had to be buzzed into their home by security, and outside their door was a hallway with doors that led to where the juveniles were housed. Arthur Audy suffered a heart attack and died in March 1950 at 38. Mrs. Audy briefly served as acting superintendent, and at the request of child welfare agencies, the Cook County board named the detention center after her husband. A 1963 citizens committee report criticized the juvenile court for having limited and contradictory jurisdiction, overworked judges, and overburdened and underqualified staff, consisting predominantly of patronage appointees. 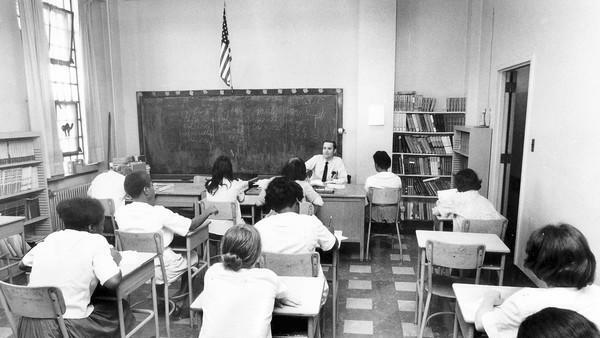 In 1965 the state legislature overhauled the Illinois Juvenile Court Act, giving significant legal protections to minors, including the provision of a public defender. The 1967 U.S. Supreme Court Gault decision further extended the rights of accused juveniles to due process. During the next decade, however, public opinion demanded harsher treatment. A 1982 revision to the Illinois Habitual Juvenile Offender Act decreed that any juvenile aged 15 or older charged with murder, armed robbery, or sexual assault face prosecution in adult criminal court and, if convicted, commitment to the Illinois Department of Corrections. 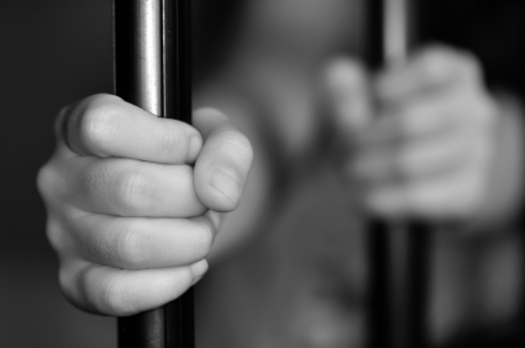 While the scope of juvenile delinquency laws has been increasingly limited over the last three decades, the scope of child protection laws has greatly expanded. The 1975 Illinois Abused and Neglected Child Reporting Act gave the Illinois Department of Children and Family Services (DCFS) great latitude in interpreting the “child's best interest.” The number of abused and neglected minors entering the court system has skyrocketed, with more and more entering DCFS custody for protection from neglect. Reformers argued that children removed to state care received minimal levels of treatment and often languished for years in “temporary” foster placements. Lawsuits filed in 1986 against the Cook County Guardian and in 1991 against DCFS resulted in sweeping changes in personnel and policies. In 1997 between 1,500 and 2,000 cases were heard every day, representing 25,000 active delinquency and 50,000 active abuse and neglect cases. Minority youths (95 percent) and males (90 percent) were disproportionately represented. Only 6 percent of delinquency cases involved serious violent offenders. Two-thirds of the court's caseload consisted of abuse and neglect cases, which reformers linked to increased rates of poverty, decline in high-wage jobs, and drastic cutbacks in welfare and social services for families and children. Today's Juvenile Temporary Detention Center, located above the 31 courtrooms constituting Juvenile Court at 1100 S Hamilton Avenue has an official capacity of 500 youngsters awaiting delinquency adjudication or trial in adult criminal court. Popularly still known as the "Audy Home," this facility's overcrowding and economic distress, as well as questions about appropriate programming, punishment, and safety, continue to challenge reformers. The center's Nancy B. Jefferson School, operated by the Chicago Board of Education, teaches 500 detained children each day. Once again, thank you for this informative piece. I worked for a branch of the Audy home in 1973-74. All of my students had parole officers and had been convicted of serious crimes.